Looking for more tips on how to shop in Paris like a local? Be sure to get our 2019 INSIDR Paris Shopping Guide! As Marilyn Monroe said “Give a girl the right shoes and she can conquer the world.” (and guys, the same goes for you too, of course!). As the fashion capital of the world, Paris is the best place on earth to find your conquer-the-world shoe. 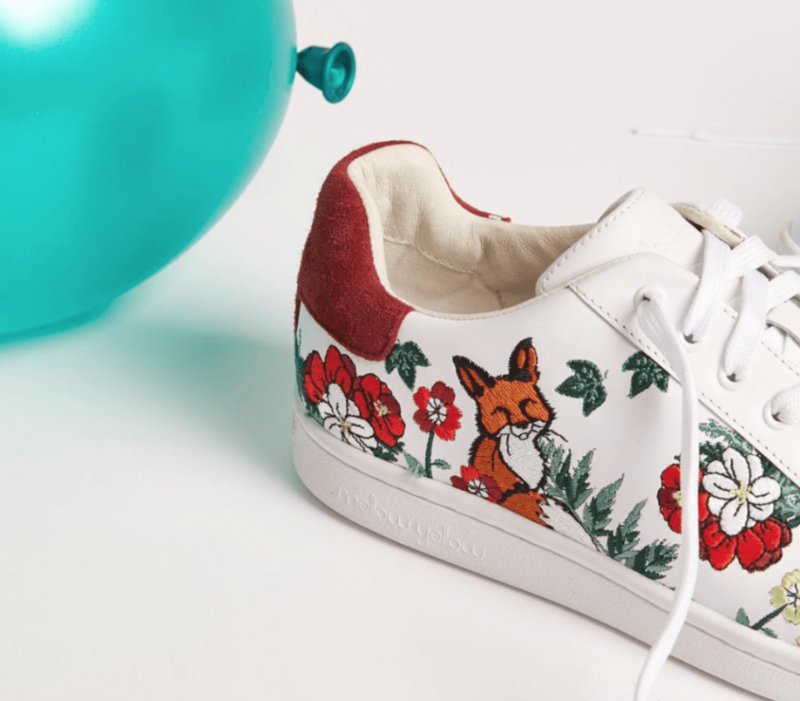 We’ve put together all the tips you need including top luxury shoes in Paris, designer shoes in Paris, French shoes size table, affordable shoes in Paris and top tips on where to buy shoes and shoe shopping in Paris’ famous department stores! For your Parisian shoe shopping spree, you’ll first need to know your French shoe size. Next, you’ll need to estimate your budget. 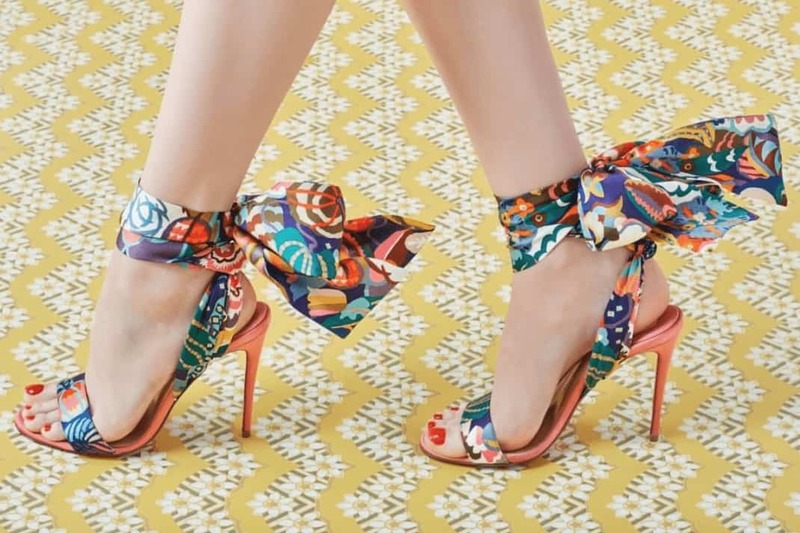 It will vary based on whether you’re going for designer shoes including Christian Louboutin, Roger Vivier or Repetto or if you want everyday staples including Jonak, Bocage or Mellow Yellow. Read on for our ultimate guide to shoe shopping in Paris. So we don’t want to spoil the mood, but it’s important to understand how much you should expect to pay for a pair of shoes in Paris. Prices of course vary widely based on the brands and type of shoes you’ve got your eye on – boots typically cost more than sandals or flats – and so on. If you’re going all out luxury, expect to pay up to 1500€ for top global names. For high-quality, lesser-known brands prices range from 120€ to 300€ for boots, high heels or other dress shoes. You can find great options for between 70 and 100€ as well, especially if you’re in town during one of the two major sales periods. Paris is a safe city, especially considering its size and number of tourists that visit each year, but common sense is necessary. Some precaution is also needed to avoid scams. However, if you’re planning on buying some luxury items, your special purchases might draw attention from the wrong crowd. If you’re worried about taking your items on the metro, consider asking the shop to place your purchases in a white paper bag, or another nondescript packaging. This way you can enjoy your fashion day in Paris and only you will know about your shopping spree! As an international fashion hub, Paris is one of the best cities in the world to do some luxury shoe shopping. In fact, the city has almost every brand you could think of and that makes choosing where to shop overwhelming. We like things to be easy, so we recommend heading to the Galeries Lafayette Paris Haussmann department store for your Parisian shoe shopping. They have the largest selection of luxury shoe brands in the city, all in one spot. The staff is also super helpful and provide expert advice. Furthermore, the huge department store is open on Sunday and provides an instant onsite tax refund. The rue Saint Honoré is synonymous with Parisian luxury. It’s home to the flagship store of many top brands including Balenciaga, Hermès and Chanel. It’s also a great street for high-end shoe shopping. You’ll find Stella Luna whose collections feature only the best quality flats, heels and boots that combine traditional design with modern touches. You can also shop Jimmy Choo, Berluti and Florsheim shoes on rue Saint Honoré. They’re perhaps the most iconic designer shoe. 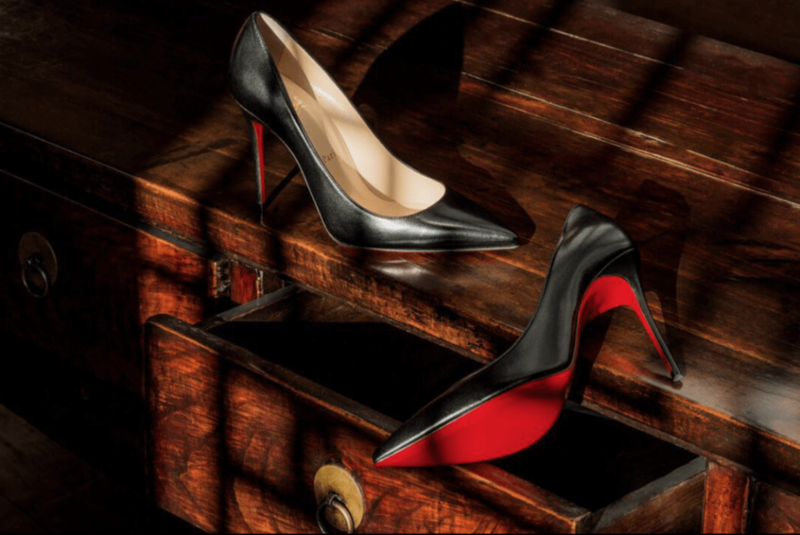 Nothing is more chic than a pair of the red bottom Christian Louboutin heels. Each pair of shoes in handmade in either Paris or Milan. The official Christian Louboutin store is located in the 1st arrondissement, rue Jean-Jacques Rousseau. Staff are extremely knowledgeable and helpful. The store, however, tends to be packed on Saturday and is closed on Sunday. Aim to visit during the week for a calmer, more enjoyable Louboutin shopping experience. 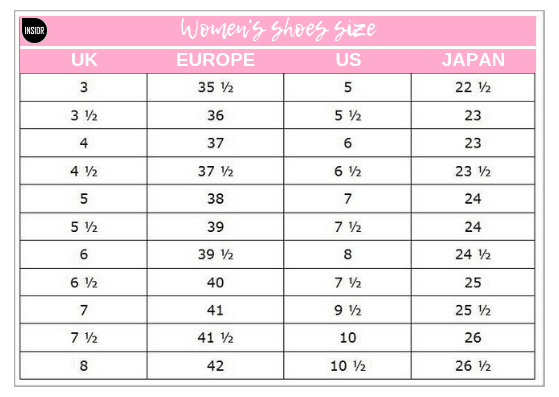 Know that Louboutin shoes’ sizes run small! You’ll probably need at least 1 or 1.5 sizes up from your usual shoe size. Roger Vivier created his first pair of custom shoes in 1930 and launched his own label in 1937. Since then, his heels have been worn by Catherine Deneuve, Brigitte Bardot and even Queen Elizabeth II. Each item is the epitome of effortless elegance and chic. The brand is known for their fashion forward style and is often the trend setter in the footwear world. Collections feature heels to ballet flats and espadrilles with sparkling finishes and glamorous touches. The flagship store is located at 29 rue du Faubourg Saint-Honoré in the heart of the 8th arrondissement. Repetto shoes have been a standby of European ballerinas since 1954 and are worn by the dancers of the Opera Garnier. Created by Rose Repetto after her son, a choreographer, complained of sore feet. 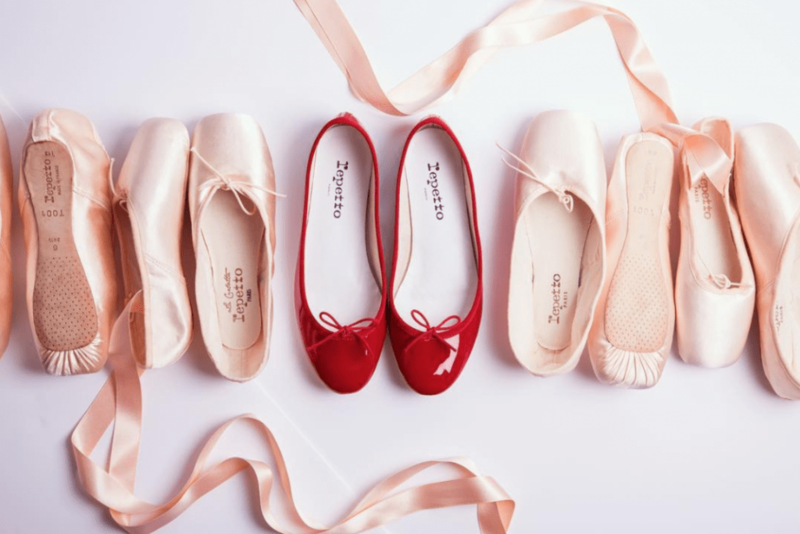 You cannot buy a better pair of ballet flats than the ones Repetto makes. Not only do they come in more colors than you can imagine, they’re designed with your feet in mind. If you love flats, you must visit the flagship store in Le Marais. The store has excellent service and will precisely measure your feet for the best fit possible. The strappy salomés are our personal favorites. Le Marais has become one of the most popular places to live and shop in Paris. You’ll find independent boutiques, big name brands as well as specialty shoe makers. Top shopping streets include rue des Rosiers, rue des Francs-Bourgeois and rue du Temple. For super stylish, comfortable shoes ranging from high heels to boots head to Taher Mardini. One of our other favorite shoe shops in the Marais is Bobbies. You’ll find a selection of high-quality, enchanting shoes. If you’ve caught yourself admiring those amazing motorcycle boots that all Parisians seem to own, head straight to the nearest Jonak location to pick yourself up a pair of your own. Jonak is an institution in Paris. The family-run brand was started by the Nakam family in 1964 and has become a staple footwear choice for locals. Their leather is top quality and the timeless, yet chic and modern, will spruce up any outfit. There are locations all around Paris, from the Marais to Saint Germain. Bocage is our favorite brand for stylish, yet super comfortable shoes. Perfect for work or occasions when you’ll be doing a lot of walking or on your feet all day. Who says you can’t combine style and comfort? 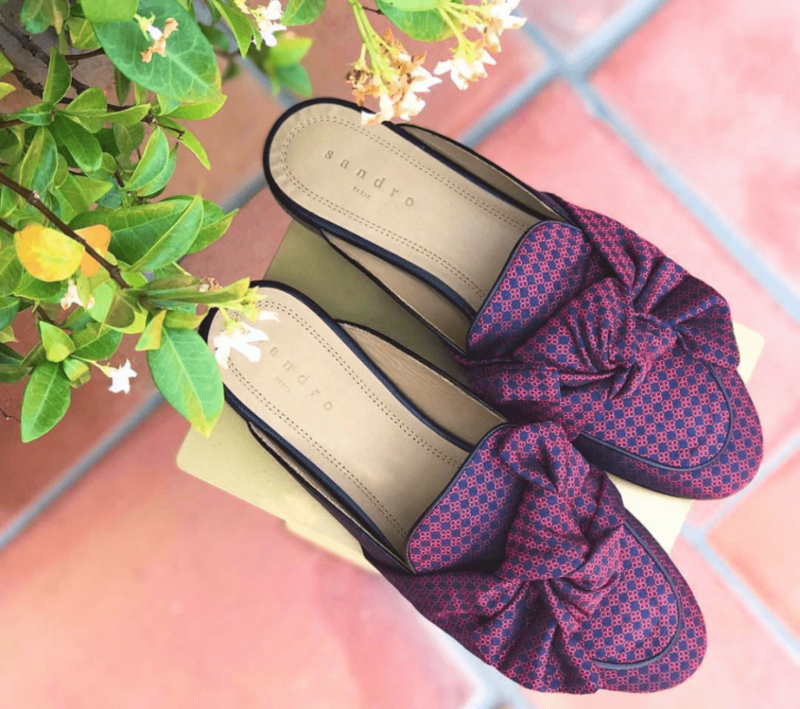 We’re especially big fans of their loafers, perfect for the office. They also have cute sneakers, flats and of course the classic black boot. With collections for both men and women as well as accessories, it’s another must-visit when shoe shopping in Paris. Mellow Yellow, since launching in 2004, has become a key feature of the Parisian fashion scene. Their shoes are affordable, comfortable and super stylish. The flashes of color, patterns and trendsetting looks are sure to catch your eye. The brand has extended their collection to include bags, belts and scarves but we still prefer their shoes. They carry boots, flats, sandals, high heels and more in a variety of fun colors. Bubbly and colorful, shopping at Mellow Yellow is sure to leave you perky and we have no doubts that you’ll find a pair of shoes to take home with you as well! At this point, you’re probably dreaming about all the different shoes brands and stores we’ve mentioned. 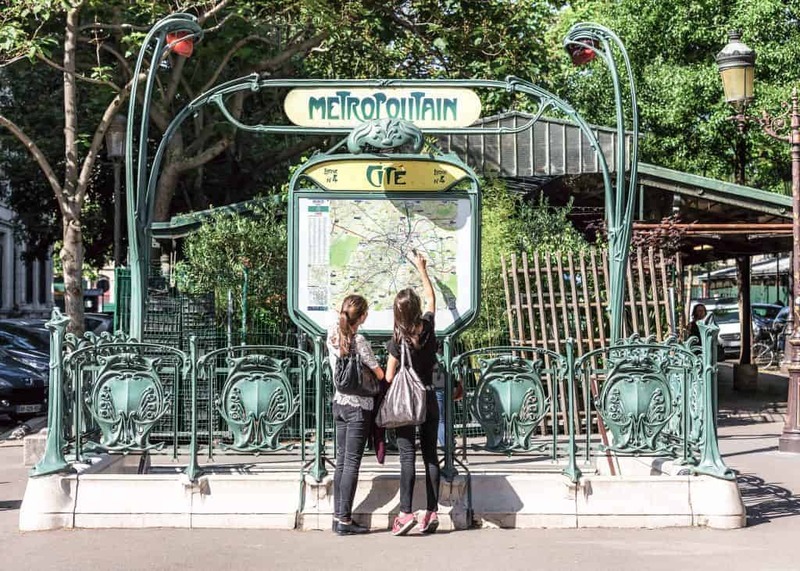 You might also be stressing about how you’re going to be able to visit them all during your time in Paris. 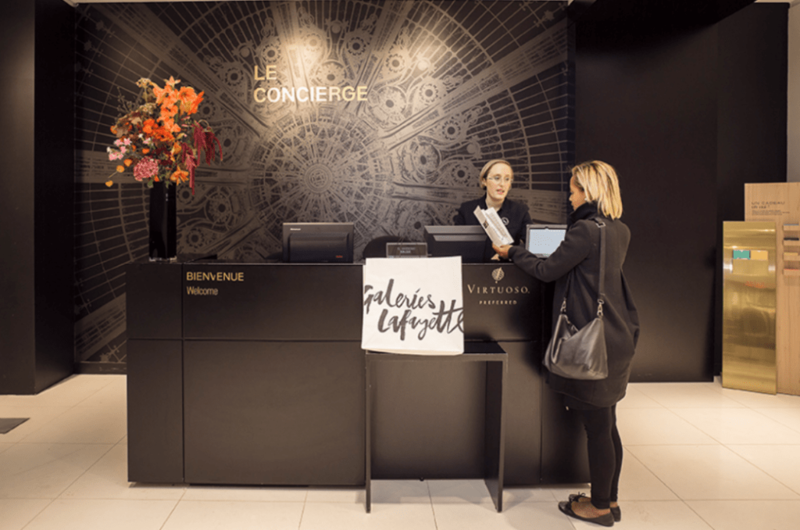 Efficiency is the key for the ultimate Paris shopping experience! You can do your one stop shoe shopping at the Galeries Lafayette Paris Haussmann. They have the largest selection of shoes in all of Paris – from high-end, to trendy sneakers and independent designers. 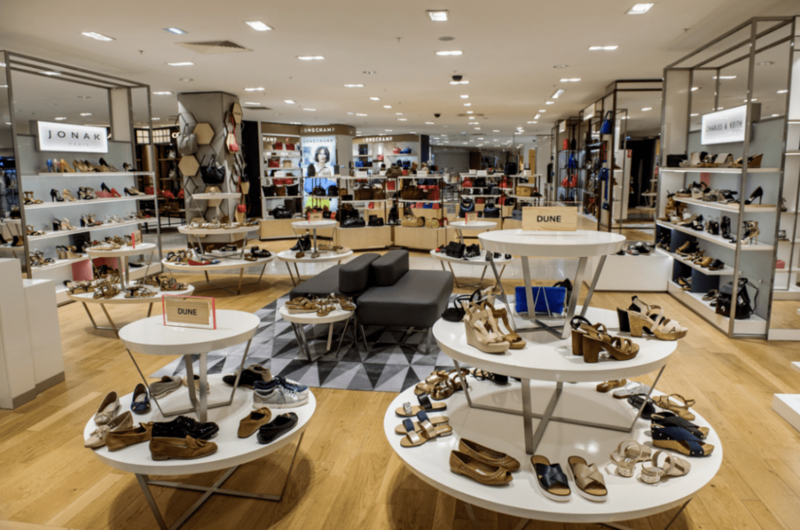 With over 3200 square meters of footwear, it’s a shoe-lovers paradise. Of the 150 brands they carry, 75 are exclusive to the Galeries Lafayette Paris Haussmann, so it should definitely be on your Paris to do list. Paris with kids can be tricky. Shopping with them, even more so. However, Paris has such cute kids footwear that it would be a shame not to pick up a pair or two for the little ones! Our secret is to head to a department store that not only has shoes, but an awesome toy section as well. Yes, you might call it some kind of bribery, but it’s an effective technique! The 5th floor of the Galeries Lafayette Paris Haussmann is dedicated to all things for kids. You’ll find children’s fashion, footwear and there is even a Disney store. Our last tip on shoe shopping in Paris is perhaps one of the most important one for shopping in Paris! When you purchase an item in France, it automatically includes the VAT sales tax. If you meet certain criteria, you can get the 10% – 12% tax refunded and boost your shoe shopping budget! The tax refund can be done at the airport, but there are often long lines. Plus, you won’t be able to enjoy your refund money to continue shopping in Paris. A handful of stores, including the Galeries Lafayette Paris Haussmann, offer an instant, onsite VAT refund service. As mentioned, there are a few rules. You must be over 15 years old and not reside in the European Union. 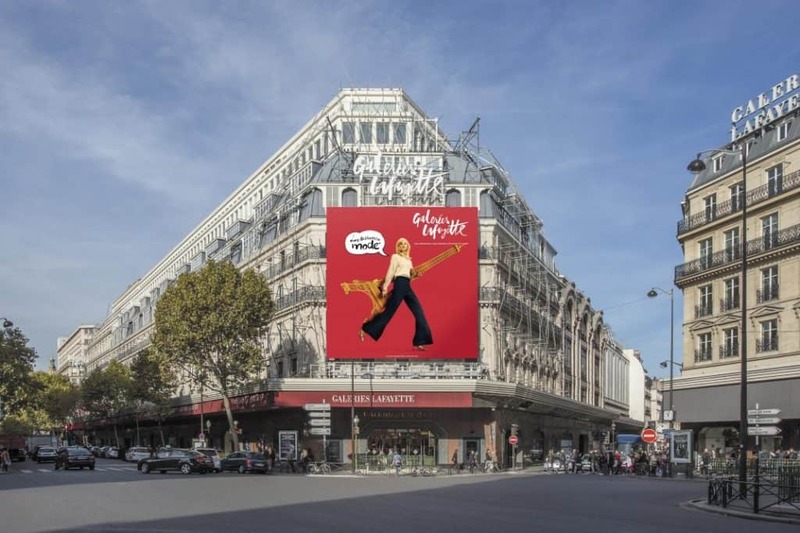 Additionally, you must have spent over 175€ in the same retail store on the same day – this is another reason we recommend shopping at a department store like the Galeries Lafayette Paris Haussmann when shopping in Paris. All of your shopping is done in one place and you’re more likely to spend the minimum VAT refund amount! If you want more details on the refund process, check out our dedicated article.